So it happened, four days after arriving in Rio de Janeiro. I’d been minding my own business, when a man stepped out of the crowd, barked aggressively at me in Portuguese, and pointed a knife straight at my face. At least 20 inches long and double edged, it was the kind of blade that could sever my jugular in a single swipe. Yep, even by Crocodile Dundee standards, this was a knife… and it was already dripping red. Undoubtedly this party goers’ paradise has a dark edge, but here in Ipanema at least, it feels as safe as Barcelona, or even Beckenham. As for the above situation, I was able to easily placate the knife wielder in question by simply plucking the freshly halved strawberry from the end of his blade and assuring him that I would definitely be back to purchase some of his wares before the market closes (…sorry, if I had you worried there mum! And by the way people, def. check out the Ipanema food market on your visit). Lapa is the most famous nightlife district in Rio so naturally this is where I began my Brazilian Odyssey. I definitely wasn’t staying in the Lapa of luxury when I checked into one of the 12-bed dorms at the Caipihostel, but I was at least staying in party central. Catering to a young crowd, the Caipihostel bar is a decent place to kick off any night, but especially on Fridays when the entertainment is curated by the Caipirinha Society – on the night after my arrival we were treated to a moving solo performance by Ive Seixas, who I must confess I developed a bit of a crush on. Check out her in action here. But this was not an evening for tapping our feet introspectively to an acoustic concert… it was a night for getting wasted on cut price cocktails, and for that myself and the rest of the hostel kids headed to “The Arches”. 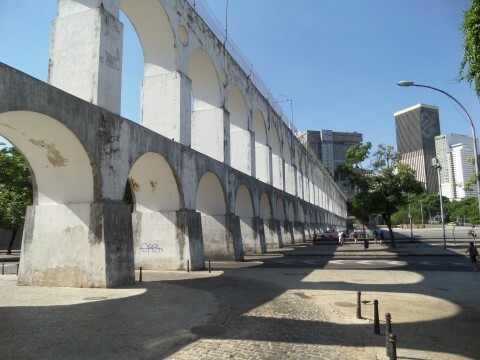 Real name the Carioca Aqueduct, these impressive white arches stretch across the heart of the district and are the meeting place for thousands of nightowls every evening, who either drink al fresco from street kiosks, listen to live music in bars, or dance to samba, forro and reggaeton – plus other forms of music I’m completely unfamiliar with – in one of the numerous clubs dotted around the barrio. Everyone from bare-chested favela macho men, to middle class mime artists (we met Charlie Chaplin) and not forgetting transexual divas, congregate here, and there is a real carnival vibe, a mish mash of poor, rich and really poor, hanging out in mostly harmony under the watchful eye of the armed police. Ok they did have to arrest one knife wielding junkie just a few feet away from us at one point… although the junkie in question hadn’t been targetting us at least. Plus Mick would have laughed his Australian cotton socks off at the size of his blade. Puny. “No, we are not. 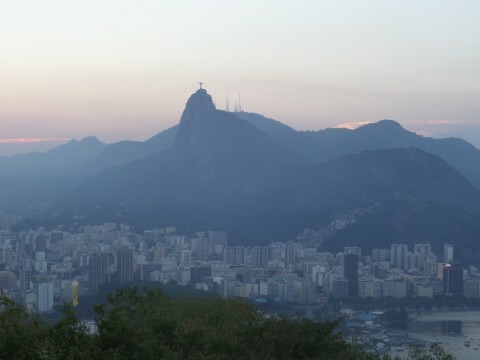 Pao de Azucar is right there,” he replied pointing at a mountain in the foreground. I had just always assumed that since Sugarloaf is so famous that it must be from that one that J.C. spreads his arms over the city… but it turns out I was wrong! Good old Jerome… I would have felt pretty stupid waiting at the foot of the wrong mountain (it’s called Corcovado by the way), with no telephone communication, for several hours, cursing Karina’s name in vain. Not that the sprawling city scape, the boats bobbing on the bay, or the sunset were the main attraction. 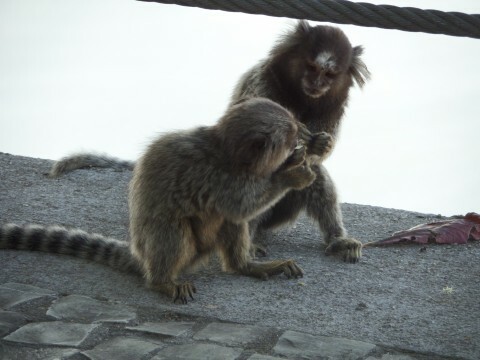 That would fall to these cheeky little chappies, who were nearly as bold as they were cute. (More Sugarloaf photos soon on Facebook!). After that it was time for a romantic meal in the shady gardens of Casarao do Paulinho restaurant in Santa Teresa district (a Lebanese restaurant that had run out of hummus), before returning to Lapa for more merriment. This time we decided to head to a club… after being knocked back from one for not having passport ID (still haven’t figured that out! But suggest you take a photocopy with you if you’re planning any clubbing in Rio) Jerome negotiated us a discount to get into Democraticos. This turned out to be a 1970s dancehall style environment, with bizarre, but highly entertaining live music blasted out by what I’d describe as a Brazilian version of Gogol Bordello. We ordered caipirinhas (what else? ), to our table, did some daft gringo dancing, and, from the club’s smoking balcony, we watched a hot Brazilian girl doing some impressive twerking at a taxi in the street below. Safety is a key issue when travelling – especially in Brazil, but by taking basic precautions you should be able to avoid 90% of potential trouble, or account for it. *Start by taking out travel insurance and paying the excess waiver. This way you’re covered for anything that gets stolen, so no need to tackle that knife-wielding maniac to save 50 quid. Just handover your money! You will have to report the crime to the police and contact the insurance company immediately in order to make a successful claim. *Take taxis whenever in doubt about safety of a region, especially after dark. Many of Rio’s streets are deserted at night, and the streets on the outskirts of Lapa in particular can be dodgy (always taxi in and out of Lapa). As you get to know the city better, you can use public transport more, and during the day you should be fine anyhow. 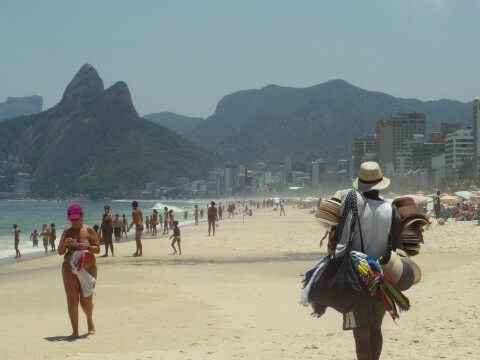 *Areas such as Leblon, Gavea, Ipanema, Copacabana and Botafogo are amongst the safest – as far I can see – so stay in one of those if you prefer to travel on the safe side. *Just carry what you need, either loose in your pocket, or a small wallet (ie. no big bulge in your pocket! ), especially at night. At night I’d recommend carrying just i) the cash you are willing to spend ii) one card (if any) and iii) a copy of your passport. Apart from your key and maybe a note with your address (useful if you don’t speak Portuguese and want to get a taxi) you really shouldn’t need anything else. *A spare bit of cash hidden in your key pocket, shoe or bra could help you get a taxi home in the event of having to hand over your wallet. *Try to hang out with some people who know the city better than you and can be your guide! You can try Couchsurfing for example to meet people online beforehand. Also staying with a homestay network might mean you get a local guide. *Avoid going up hills. Generally speaking favelas are now considered pretty safe places, after most were “pacified”, however not so long ago, going up a hill – where favelas are based – could mean serious trouble. I’d still avoid going up any hills without a guide as the one or two times I did venture a little ways upwards I felt I was on uncomfortable territory. 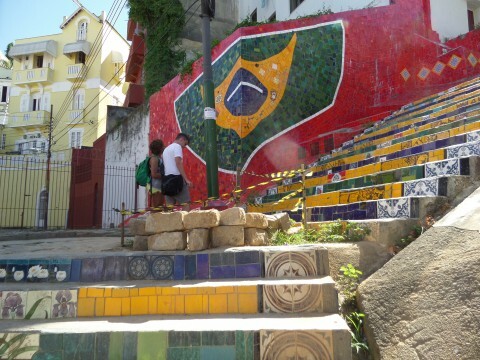 (Others however swear by the safety of favelas, and there are several hostels in favelas you can stay at…). Love love love this guide, thank you! Can’t wait to get to Rio 🙂 Enjoy your time. I’m juggling with the idea of going to Rio in March. Thanks for the info, it’s very useful! Hi Annie, glad to have been of help! I would definitely recommend visiting Rio. Bear in mind of course that March is Carnival season, so check the dates for 2015. If you want to check out Carnival you are in for a great party, but accommodation will be up to four times more expensive, so make sure you book well in advance to secure a decent rate. Also you can enjoy a lot of carnival parties even two or three weeks before official carnival so you don’t need to be in the city on the precise dates to enjoy a lot of the same vibe and entertainment. I actually spent carnival in Recife/Olinda whilst Salvador is also popular. Hey, great blog! I can’t believe that happened to you after 4 days! I’m an English expat living here and touch wood, nothings happened in more than 2 years living here, and the same for most my friends. Just bad luck for you I guess, wrong place wrong time. I’m glad you didn’t let it get you down though and went on to love Rio. It’s such an amazing city, I still walk round now after 2 years amazed at it’s beauty. Every one should go at least once in their life! In my time here I’ve met so many tourists who haven’t got a clue what there is to see or do, or how to do it, so i decided to make a tourist guide website, showing all the best beaches, where to stay, the best treks, carnival info and much more! For anyone interested, check out The Rio Vibe at http://www.theriovibe.com It’ll definitely get you in the mood for Rio! I loved reading your tips of my beautiful city. I’m glad you had a good time there and enjoyed some of the best bits Rio has to offer. I have a beach house in Recreio dos Bandeirantes, close to where the Olympics main events will take place, and I am looking to promote it. I am offering free stay in exchange for a blog post and review to help my family out there. So if you fancy going back to Rio again (wink,wink) or know any fellow bloggers who would love to take this up, please let me know. One day I’ll take you up on that offer Marianne! Enjoy the Olympics! Hi,first of all thanks for your pos! I’m an illustrator based in Lisbon (Portugal), I recently visited this beautiful city and I fell in love!! I would like to share with you my new painting inspired by the city of Rio de Janeiro, I hope you like it! ? Guess I have a reason to go back!